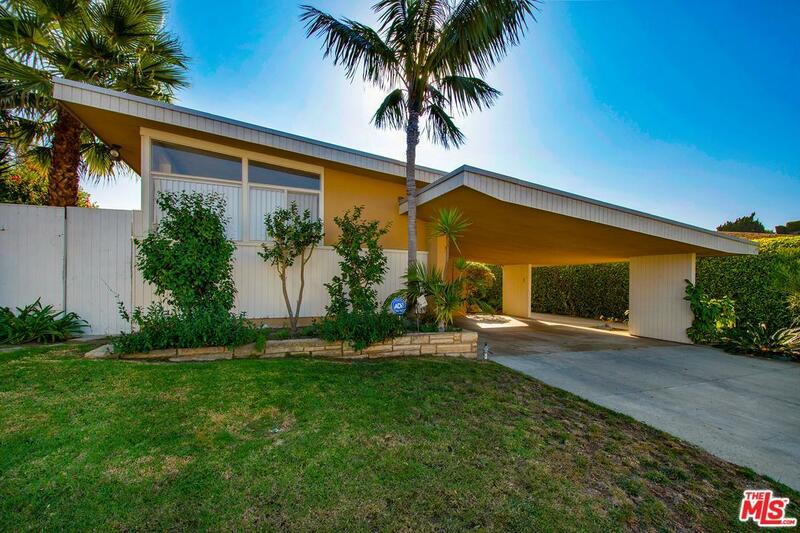 A superb opportunity to own a Mid-Century Modern home in Baldwin Hills Estates untouched and an excellent canvas for a complete restoration. Located in a cul de sac, this very habitable home offers an amazing opportunity to exploit and enjoy a home w/unique architectural style. A semi-private walkway leads to the entrance of the 3 bedroom 1 3/4 bath residence that is set back from the street; spacious living room w/brick fireplace (decorative) w/floating marble hearth; open floor plan; perimeter fixed pane windows allow natural light to pour in; kitchen w/ample storage & skylights & opens to a large sunny family room w/recessed lights; separate laundry room; master bedroom w/en suite bath; two spacious guest bedrooms; skylight in hallway; ample storage space inside; carport w/room for two vehicles; large backyard w/grassy side yard and large patio with hillside views and privacy. This is an As-Is sale. Sold by Lynda Kahn BRE#01898459 of Compass.